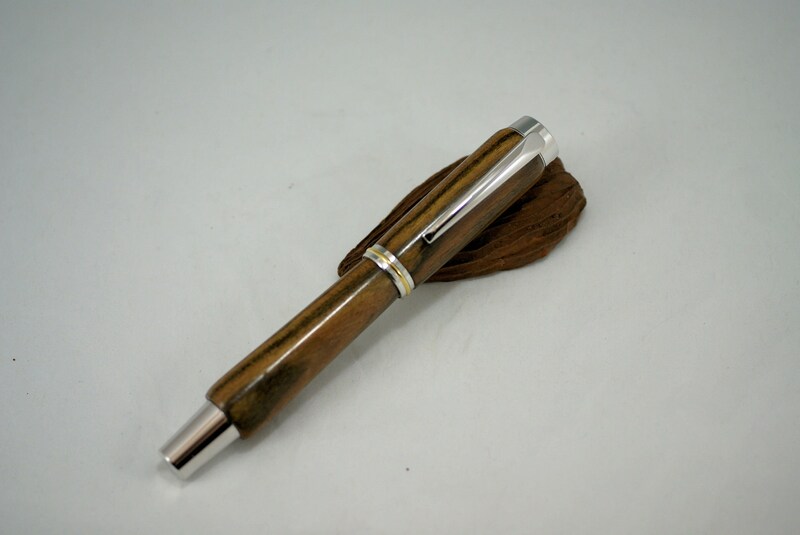 This pen is made from Bocote wood and the best available hardware. 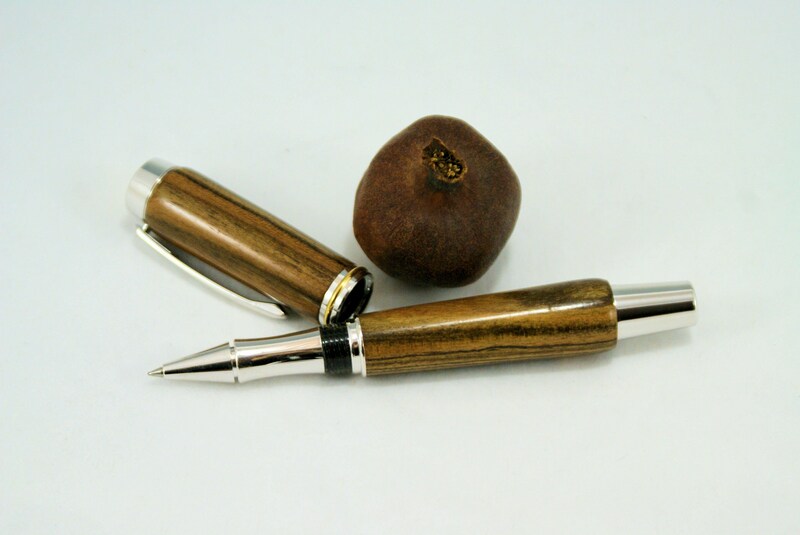 It is a roller ball pen that glides across a page. It is cartridge filled with new cartridges available in your office supply stores. The outside metal parts are titanium and will outlast us all. This pen makes writing a joy. Maybe it is time to get back to writing letters and slow down this fast paced world of ours. Even as a pen to write your Masters or Doctorate Thesis. As you can see the top unscrews and reveals a comfort designed writing instrument. 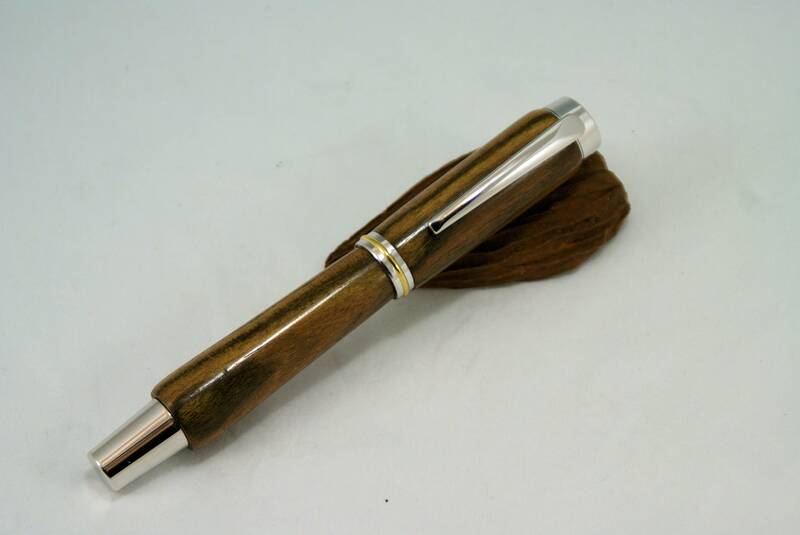 This is pen you will be proud to show off but lown out to others, aside from family and close friends. 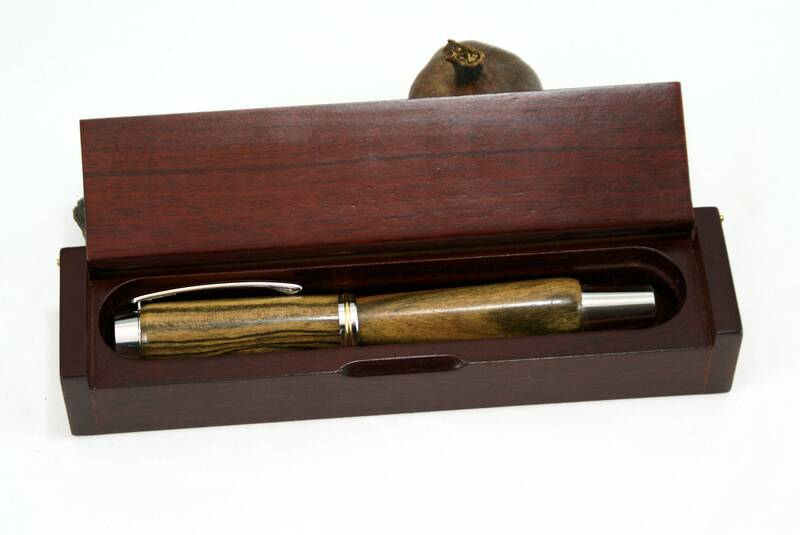 The pen comes in a box and will make a great present to someone you Love very much. 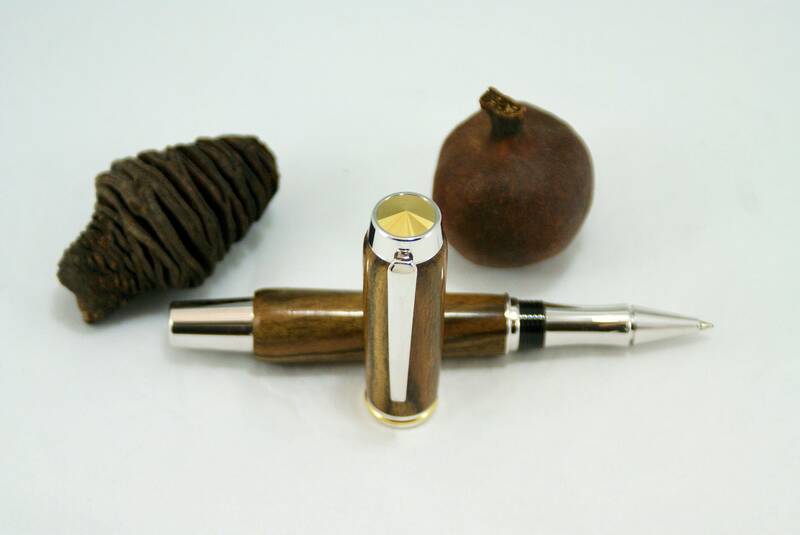 For many of us it would make a great addition to your pen collection.